Being a graceful groom… in eight easy steps! Getting married gives those involved equal amounts of stress and happiness. People take months to prepare for a single wedding ceremony – okay, one wedding with several ceremonies – but it isn’t as bad as it sounds. If you’re organised and you know how to go about things, it could turn out to be much simpler than you’d imagined. For the lucky blokes out there who have their weddings coming up, here’s a simple guide to being the world’s best groom. These steps include everything to keep in mind before tying the knot. So go on – bust out the binders and start taking notes. At the very least, you’re going to make planning your big day a little easier on your wife-to-be. 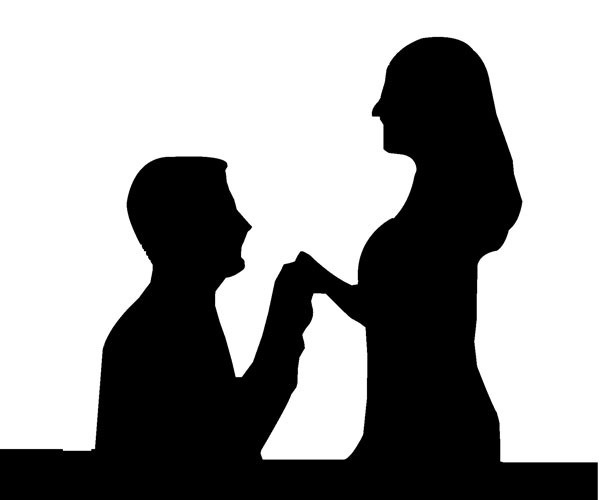 Now that it’s clear that you want to spend the rest of your life with that angel-eyed, supple-skinned damsel, it’s time you propose and let her know. As much as a girl would love to choose her own ring, nothing works better than a surprise. Follow the basics. Get the ring from a well-regarded company or jeweller, and remember the four Cs of diamonds: carat, cut, clarity, and colour. Buying a ring is no easy task. After all, it requires one to be a good listener and pay attention to all the things she told you she likes while you two were out shopping (you were listening, weren’t you?). 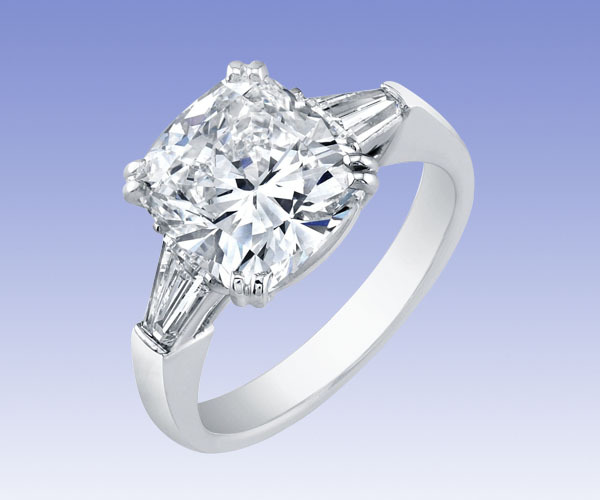 Those with an antique stone that needs resizing, walk into any good jewellery store and your task is nearly done. There’s one small catch. If your intended doesn’t like what you picked out, you may have to hear about it for the rest of your life. Pick yellow, white or rose gold if you’re looking for buyback value; platinum if you want it to sound heavy; or silver if you’re tight on budget (or just tight). As for the stone, nothing works better than a diamond. For the broke and the stingy, a semi-precious stone is the next best choice. Don’t forget to get a certificate of authenticity for your ring, so that you know you’re not being cheated. Now that your ring is ready, the time to propose has arrived. Make sure that whatever you do is done in style. Someone very rightly said, “There’s no such thing as a bad proposal,” – unless, of course, she says no – so stop stressing so much. The only thing you need to make sure of is that she doesn’t suspect or expect it (unless she can’t wait and ends up asking you first, in which case, just say ‘yes’). Even though we’re in the 21st century and most women are independent, it’s always better to seek her parents’ blessings first. It’ll make you more special in her eyes, and earn you the respect of your future father-in-law. Pick a favourite place, but don’t hide the ring in food or champagne – that’s purely passé. You could do it outdoors during a full moon, at a special spot that means something to you, or after a romantic drive. Just get on your knees and ask her. A proposal is personal, but if you’re the close-knit family type, you could do it at a family gathering. That you’re asking her in front of her and your loved ones could make it even more special. Or it could blow up in your face. Tread lightly. Another time to do it is during a getaway. Take her out for a day or two – somewhere close by – and set up the entire thing. It’ll just add to the special moment. Talk to everyone on your side and your fiancé’s to figure out which functions will be held. Tradition states that all functions except the reception are organised by the bride’s side, but the times they are a-changing. Couples are more practical these days and some like to keep things sweet and simple. Some even split costs down the middle. An ideal wedding might include stag and hen nights, a sangeet or cocktail party, the wedding proper, and a reception. It could also just consist of an intimate registered wedding and a reception. Take your time in preparing the guest list. Don’t rush it, or you’ll end up forgetting someone (dad’s cousin’s neighbour’s dog’s vet, for example). What might help is to sit down with your family and make a list of names. Exchange your list with your fiancé’s so that you don’t have any overlapping. Your wedding invitation can reflect your style and the theme of your wedding. These days, people are very elaborate with their invitations, from including silk sarees for close friends and family to sending chocolates or photo frames to the masses. Have a look around General Bazaar, Gowliguda, and Ranigunj before you settle on something. Keep in mind that there are a staggering number of options from which to choose. Your wedding venue should keep the size of the guest list in mind – the more guests there are, the bigger the place should be. Sufficient parking, comfortable air-conditioning and, most importantly, the food are the trifecta on which you need to focus. Assuming that the bride’s side is handling everything but the reception (which is usually the biggest and grandest function), you could splurge on a star hotel if your budget allows. Otherwise, opt for a function hall, but make sure catering is done by a tried and tested service. The food is paramount, so schedule a tasting in advance to avoid any disappointment on the big day. You definitely don’t want greasy plates being loaded with undercooked food. Some of the best folks around are S.V. Caterers, Liberty, Gaurav and Nimantran Caterers. Photography has always been crucial, but lately it seems to be especially important. You’re only going to get married once (hopefully), so don’t compromise on the photographer you choose to capture the moment. They’re a dime a dozen, one better than the other, so do your research. Some of the best are Suman Chakri, Joseph Radhik, and Roohshad. The décor depends entirely on your budget and tastes. The more you decide to spend, the more lavish things get. But this doesn’t mean that the minimalist stuff isn’t appealing. Done well, dainty decorations can look extremely classy. Pick a theme or colour combination to make things simpler, and make sure everything coordinates. Go through a lot of reference pictures so that you know exactly what you’re in for, and that there are no surprises at the last minute. Lots of couples these days opt for things that are out of the box – it’s all about being different from the rest. Video screens around the venue, laser shows, and fire dancers are all hot picks at the moment. For some guidance and services related to wedding décor, Rachnaoutsav, Dinaz, Archie Paranji and Mintu Sarna are some of the best to get in touch with. Planning a wedding, especially your own, isn’t easy. As one of the most memorable days of your life, you naturally want every last aspect to be perfect – this isn’t asking for too much, is it? Get a wedding planner, maybe someone who’s organised their own wedding, so that you don’t miss out on the small details. Flowers, cake, bookings, DJs, transportation – it doesn’t sound too difficult, but it can be tough to put it all together. 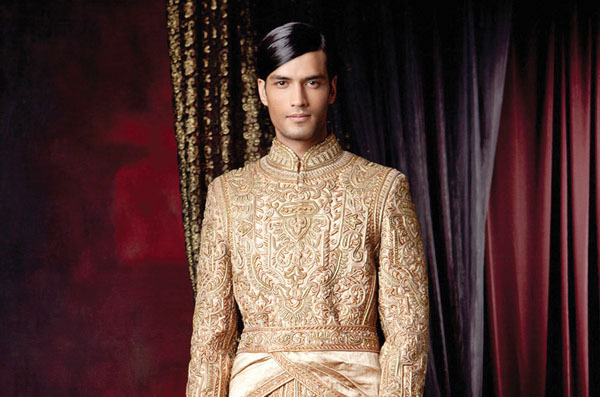 custom – whether that’s a dhoti-kurta, a sherwani or a suit depends on tradition. Whatever your picks, coordinate with your bride’s attire – it always makes for cute photos. Get a matching mojri and pagdi to complete the look. For the reception, pick a tux or, more simply, a well-cut suit. Tarun Tahiliani, Shravan, Shantanu & Nikhil, Mebaz and Meena Bazaar are some good choices to find something that matches your personality. If you thought that beauty parlours and wedding packs were only for brides, think again. The metrosexual man isn’t behind in any respect. Walk into a salon like Manea, Toppers, Paris de Salon, or Naturals and find out what they offer today’s groom. There are organic, whitening, and glow peels to make sure you complement the bride. A mani-pedi is a must – no second thoughts. After all, you do want to be the best-looking guy at your wedding. Step 5 – Stags, assemble! Ladies, if you could skip straight to step six, that’d be great. Best men, pay attention. 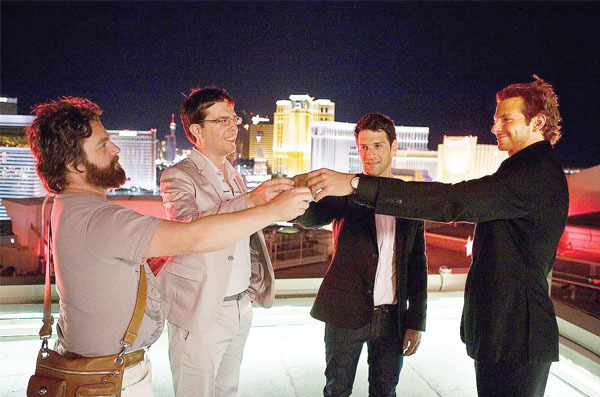 Plan a trip with the groom and his closest friends – go to Bangkok or Goa, or head to Las Vegas for the ultimate bachelor’s party experience. If you’re short on time or funds, just have it in town. Pick a resort or a bungalow removed from the city so that you don’t have issues with timings – you could go clubbing first and have a house party later. The thing to remember for a successful stag night is to include loads of fun for the groom. Do all the things he enjoys, and forget about the fact that he’s going to get hitched soon. And remember, there’s nothing wrong with a solid helping of overindulgence on a night like this. These days, people start practicing for their sangeet performances a month ahead. 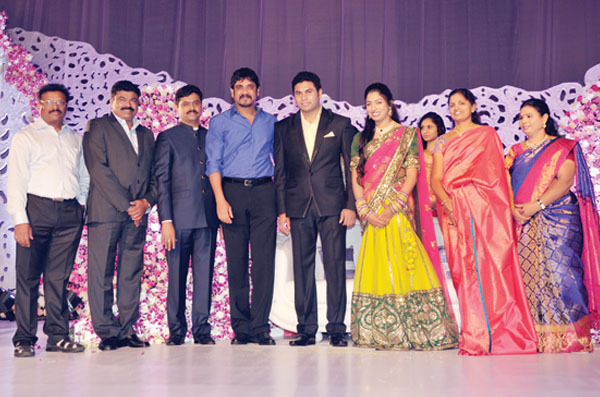 Get a choreographer and decide with your close friends and family what kind of ceremony you want. Some couples have themes and storytelling, and others pit the bride’s and groom’s sides against each other in a competition of sorts. You could do a group performance, a romantic couple’s dance, and a solo routine. Just make sure you’re well-rehearsed as all eyes will be on you and your wife-to-be. 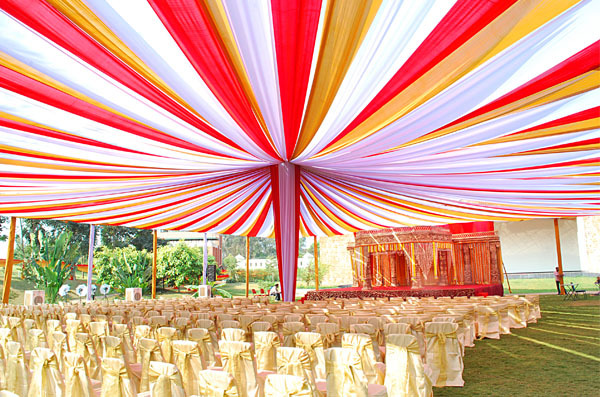 A sangeet usually happens the night before the wedding, so don’t forget to have your share of fun. Enjoy the evening as much as you can, because it’s all happening for you. Some of the most popular solo tracks for grooms are: “Bachna Ae Haseeno”, “Tenu Leke Main Jawanga”, “Tum Jo Aaye Zindagi Mein”, “Tere Mast Mast Do Nain”, “Mehendi Laga Ke Rakhna”, “Mujhse Shaadi Karogi” and “Bakhuda Tumhi Ho”. For couple routines, “Teri Or”, “Raat Ke Dhai Baje”, “Mahi Ve”, “Tu Mera Hero”, “Ishq Waala Love” and “Oh Girl You’re Mine” are hot picks. After all the hard work and fun comes the misery (kidding). By the time the wedding pops around, you’re so tired of partying (and some of your relatives) that all you want to do is sleep. But no, don’t make the mistake of relaxing just yet. There is no wedding without the groom, so just get as much sleep as you can the night before. After all, you don’t want to see dark circles when you proudly show off your wedding pictures to your children someday. As per custom, the bride and groom may be required starting early in the morning, or not until late at night. Enjoy each and every moment that comes your way, as you’re never going to feel this in-demand ever again (unless the light bulb needs changing). 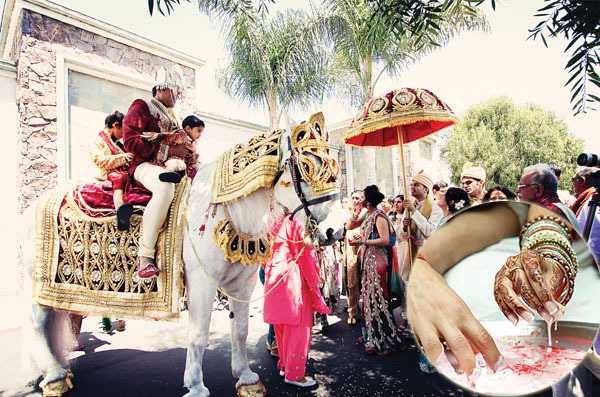 As the groom, you may be entitled to ride a horse. Plenty of dancing later, you’re at the wedding venue and ready for the wedding itself. If you’re taking part in a Hindu ceremony, let the priest do his thing while the bride’s sisters focus on the famous shoe-hiding ritual. Keep yourself and your entourage alert, or you’re going to have to spend all those Vegas winnings to get your shoes back. Once all this is done and you and your fiancé are man and wife, get ready for one sad scene – the vidai. After a whole lot of crying as you cruelly wrest your bride from her family, there are a few games played at your house to welcome the new daughter-in-law. It is believed that whoever wins these games has the upper hand and will dominate in their married life (but we all know how that turns out, regardless of the game). The wedding’s finally over, and there’s just one function to go before you take off on your honeymoon. The reception is probably the most relaxed of the functions – mostly because everyone’s so relieved that they don’t have to attend/perform another ceremony the next day. All you and your new bride have to do is look pretty and stand on stage with a smile. Meet everyone who congratulates you and wait for the evening to end. Have faith that it’ll be worth the wait, despite the intense heat of the lights melting your bride’s makeup and staining the collar of your fancy new Armani shirt. After the reception, lots of couples like to take off for their honeymoon to get a break from everyone and everything. Make sure you’re packed in advance so that you don’t spend the night sorting your clothes. Off you two go, beginning the new journey of a lifetime. Till death do you part. Make sure you get your marriage registered with your constituency’s sub-registrar well before all your ceremonies are done, especially if you’re of different religions. You don’t want to apply for a visa for your honeymoon and not have legal proof of marriage.